Xcalak Mexico - Where is Xcalak? Find Out Here! Way off the beaten track along the southernmost region of the Yucatan Peninsula. 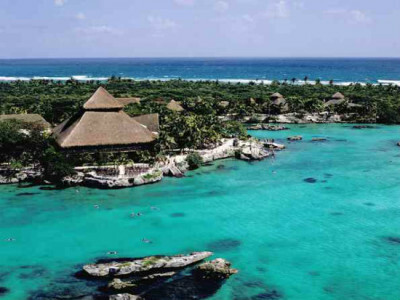 Xcalak Mexico offers an alternative to the throngs of people and high rise hotels found further north. For those travelers contemplating a visit to the remote fishing village of Xcalak, Quintana Roo. Off the beaten track, Xcalak is an alternative to the throngs of people and high rise hotels found further north. Xcalak, with a present population of around 350 people, was the largest city in Quintana Roo until it was destroyed by a hurricane in 1955. If you can amuse yourself with fishing, diving, snorkeling, an interesting companion, a couple of good books, bird watching and long walks, you just might not want to leave this little bit of paradise. It’s not for everyone, but it’s absolutely perfect for some. The beauty of Xcalak lies in being a place away from everydays noisy world, it invites us to enjoy the nature, finding a paradise with florae, faunae, etc. The tranquility which draws you away from the stress, and takes you to a spiritually-full life. Xcalak has something to offer almost any adventurer. The local diving and snorkeling are phenomenal with a barrier reef located just 600 meters offshore. The renowned Chinchorro Banks, the site of hundreds of shipwrecks over past centuries, are just a short 1.5 hours away. The flyfishery is being developed with nice sized bonefish, permit and tarpon being caught. 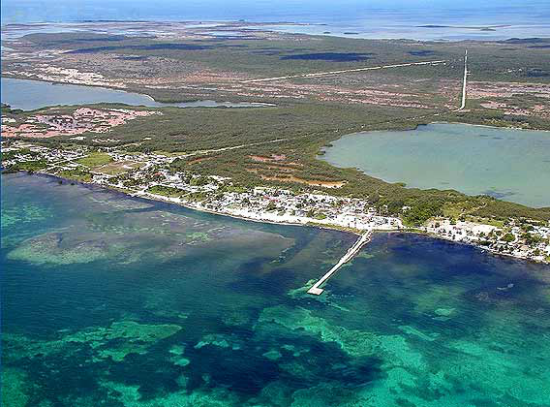 San Pedro, Belize, only 26 miles away, can be easily reached by panga in less than two hours. If the thought of all this activity sounds too strenuous, there is always a hammock nearby where you can relax and read that forgotten book or sip on your favorite beverage. With the completion of the paved road from Majahual, it’s easier than ever to get to Xcalak. Once you arrive, you’ll find an ever widening range of accommodations in both different locations and varying price ranges. Please visit again to view the ongoing changes and additions to this area. Thanks very much for stopping by and check out the lodging, diving, and real estate services being offered. 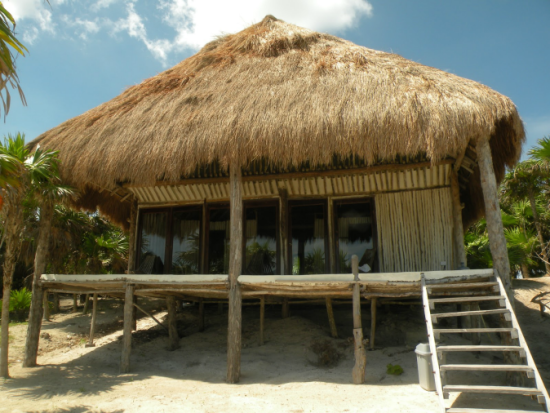 Xcalak, Quintana Roo – an awesome little village that’s truly at the end of the road. And then there’s the diving! The ‘star-of-the-show’ is The Chinchorro Banks … a massive atoll complex sitting 1-1/2 hours off-shore. Chinchorro is a divers’ ‘banquet’, setting the table with just about every undersea ‘goodie’ imaginable…reefs and walls, blue holes and wrecks. But, you don’t need to go all the way over to Chinchorro for a great dive. The reefs right off our front door are in great condition and have something to offer both novice and experienced divers. Diving the Chinchorro Banks is excellent, uncrowded and unspoiled. There are usually tarpon and very interesting caves and holes. You can also see Belize from a boat just off shore, the reef here is very alive and colorful. Diving in Chinchorro only takes place on perfectly calm days, due to the 2 hour boat ride to get out to the reef. Don’t attempt it in some dingy, or you will be very uncomfortable. Several of the dive shops have larger boats, including Aventuras Chinchorro Dive Shop (800-480-4505 or 983-87824). 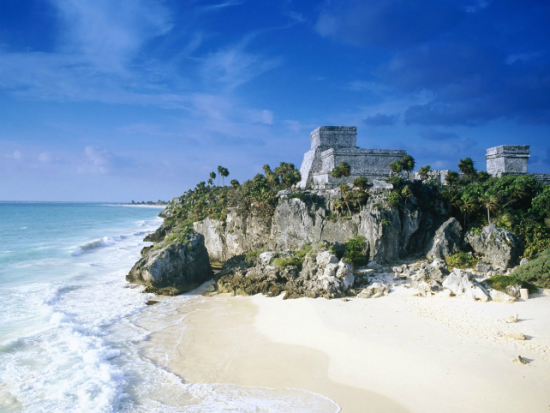 Presently the best way to get to Xcalak is to fly into Cancun International Airport, rent a car and drive down. All major car rental agencies and prices are comparable to US prices. The best prices are found by booking online ahead of time. The vehicles available vary from small economy cars to vans and suburbans. The car rental facilities accept credit cards. It is a 4.5 to 5 hour drive from the Cancun Airport. 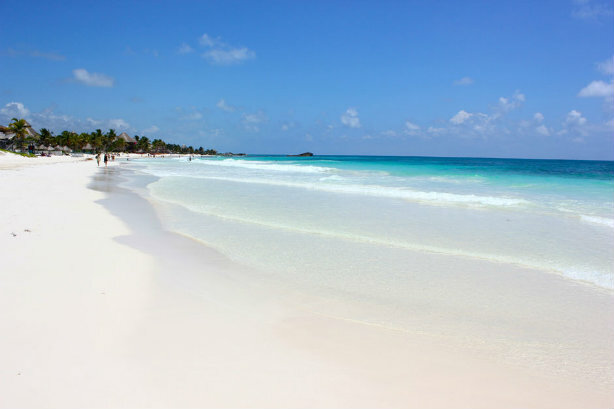 It is not recommended you try and drive at night, so if your plane comes in after 1:00 – 2:00 pm you may want to consider driving only part of the way to Playa del Carmen, Akumal or Tulum and staying at a hotel for the night and get an early start the next day. You may also want to stop and buy groceries in Cancun or Playa del Carmen on your way down…It’s cheaper and your options will be much better. Continue on 307 south about 1 hour through Limones. Just past Limones will be a green highway sign to Mahahual. Take a left. Head east on this road about 30 minutes, make a right turn to Xcalak.